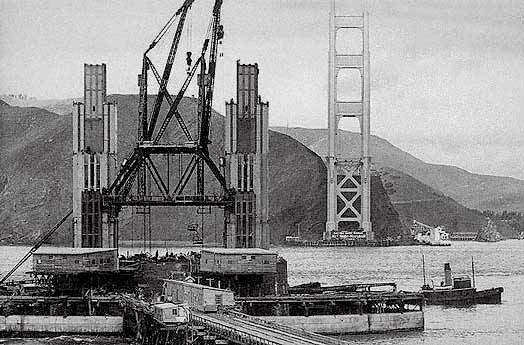 This photograph shows south tower of the bridge rising from the floor of the Golden Gate in late 1935 or early 1936. The Marin, or north tower, is nearly complete. A detailed explanation of the construction, and an earlier aerial view of Fort Scott, as well as the protective fender, can be found in Associated Oils Portfolio 3.